When you visit the Ark Encounter, consider stopping by one or more of the other tourist attractions nearby. Check out some of the other local attractions you can visit below. As you purchase your tickets to the Ark Encounter, consider a combo ticket so you can visit our sister attraction, the Creation Museum, as well. A combo ticket gives you one full day at the Ark and two days at the Creation Museum within a seven-day period. 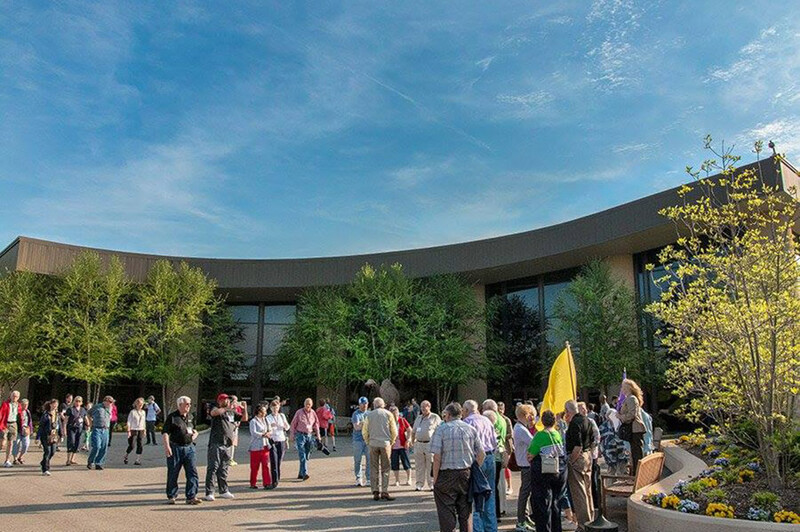 At the Creation Museum, which is located 45 minutes north of the Ark Encounter, you’ll take a walk through the Seven C’s of History and immerse yourself in Genesis chapters 1–11. Enjoy a stroll through the beautiful botanical gardens and get up close to the animals at the Eden Animal Experience. Catch a glimpse of what you will experience in this video. 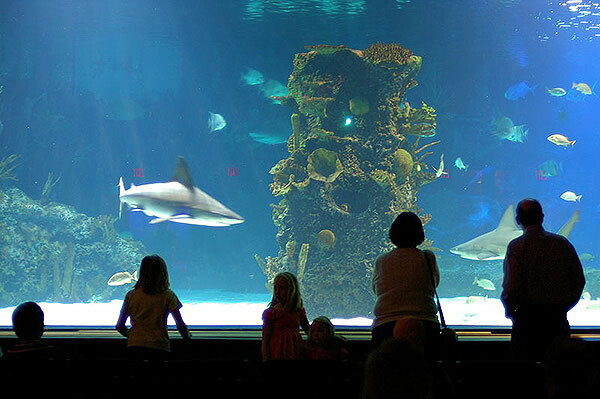 Get face-to-face with sharks, rays, fish, penguins, and more when you visit the Newport Aquarium. You can also touch a shark, get an up-close encounter with some aquatic animals, and cross the unique Shark Bridge. Image by FloNight, via Wikimedia Commons. Do you love horses? 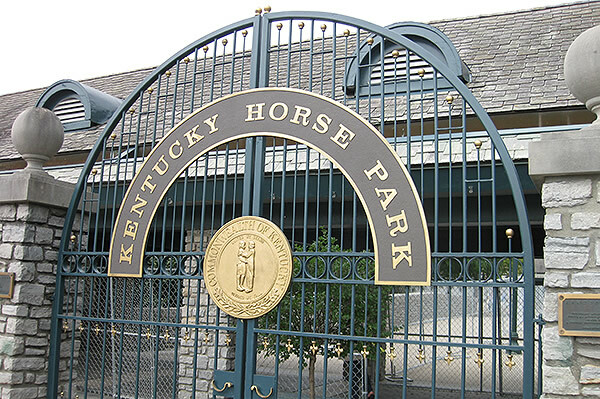 The Kentucky Horse Park is one of the world’s best equine competition facilities, and it’s just 30 minutes south of the Ark Encounter in Lexington, Kentucky. Image by Nordlicht8, via Wikimedia Commons. 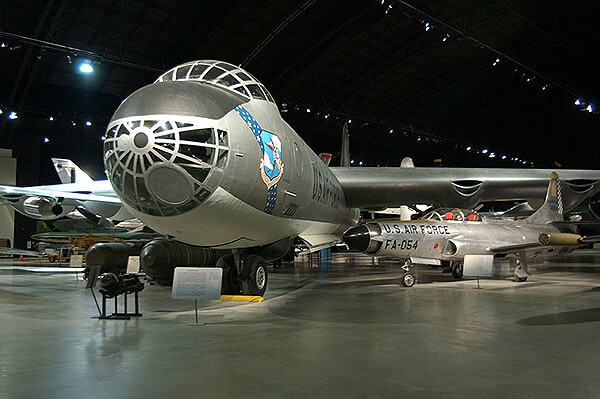 The National Museum of the United States Air Force is a free museum in Dayton, Ohio, featuring a massive collection of air force planes and memorabilia spread out over several airplane hangars. It’s the world’s oldest and largest military aviation museum. Image by Magnus Manske, via Wikimedia Commons. Looking for more places to visit during your stay? 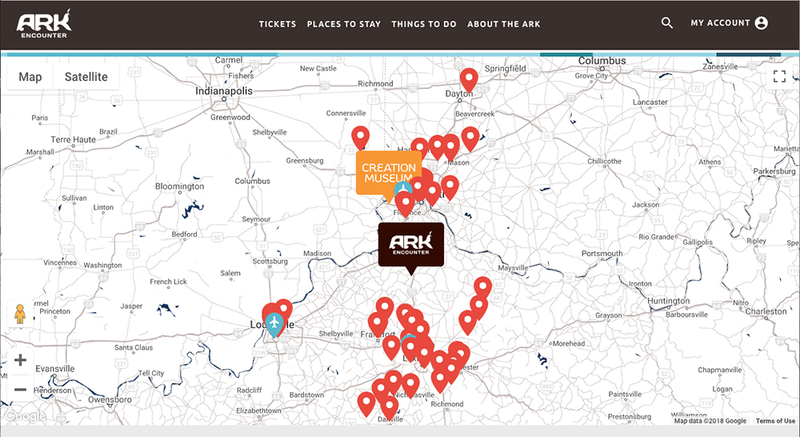 Discover other popular tourist attractions near the Ark Encounter and Creation Museum by navigating the map on our Nearby Attractions page. You might be surprised at what you find on the route from the airport, to your hotel, and to the Ark! Dozens of hotels and restful places to stay are only a brief drive away from our life-size Noah’s Ark. 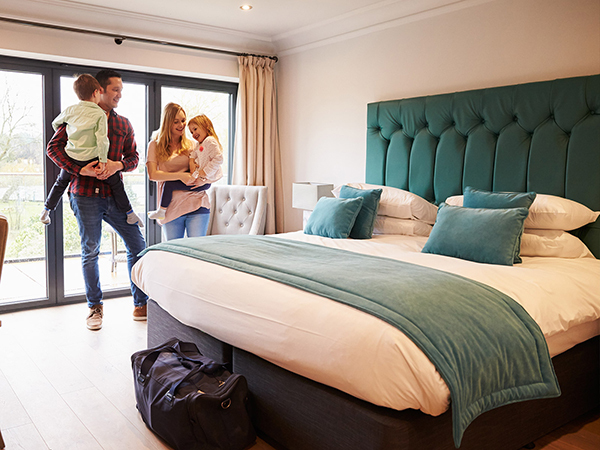 If you need help finding a place to stay, visit our Places to Stay page for more information. Start planning your trip to the Ark Encounter today, and be sure to check out the other unique attractions around the area as well! Share your favorite pictures from your visit with us on Facebook, Instagram, and Twitter using #arkencounter.